Discussion in 'Movie Forum' started by Sam Crow, Mar 1, 2013. Emma Watson will not star in Kenneth Branagh's Cinderella. The actress was reported to be in talks for the new live-action adaptation of the fairy tale last week, but Variety reporter Marc Graser has now confirmed that she has decided against taking the lead role. Cate Blanchett is in line to play the wicked stepmother in Branagh's film. 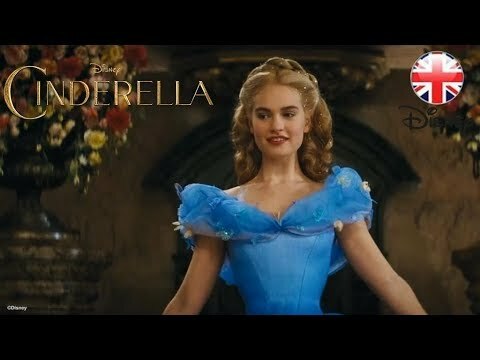 Several other young actresses have been linked to the Cinderella role including Saoirse Ronan (Atonement), Alicia Vikander (Anna Karenina), Gabriella Wilde (The Three Musketeers) and Imogen Poots (Need for Speed). Alas, it seems Cinderella's glass slipper wasn't the right fit for Emma Watson. Less than two weeks after the actor was said to be in talks to star in the planned film, the Bling Ring star has reportedly decided not to star in Disney's live action adaptation of Cinderella. Late last month, we learned that Watson was in talks for the lead in Disney's planned Cinderella, which has Cate Blanchett on board to play the wicked stepmother. It looks like negotiations didn't work out, as Variety's Marc Graser, who originally broke the news that Watson might take the lead, has since Tweeted that she "has decided NOT to star in Disney's Cinderella. He tweeted soon after that more details were to come. In the meantime, for a bit of speculation, I'm wondering if this might not be connected to the recent news that Disney was looking to "reinvent" Beauty and the Beast, with Trance writer Joe Ahearne eyed for the project. That piece of news broke just yesterday, which may be a coincidence when tied to this news, but maybe not, especially when you consider that Watson was set to star in a Beauty and the Beast adaptation as of last year. In fact, when we learned that Watson was up for the Cinderella role, it prompted us to question the status of her involvement in Guillermo del Toro's planned take on Beauty and the Beast. Was she planning on playing both princesses? Or were her talks with Disney an indication that Beast wasn't going forward? We haven't heard an update on del Toro's project in a while, though, last fall, word was that it was supposed to be shooting sometime this year. Whether or not that's actually happening remains unclear at present. Is there any chance Watson is eying the Belle role for Disney's Beast project if del Toro's isn't going forward? Lily James will play Disney's Cinderella, Variety has confirmed. 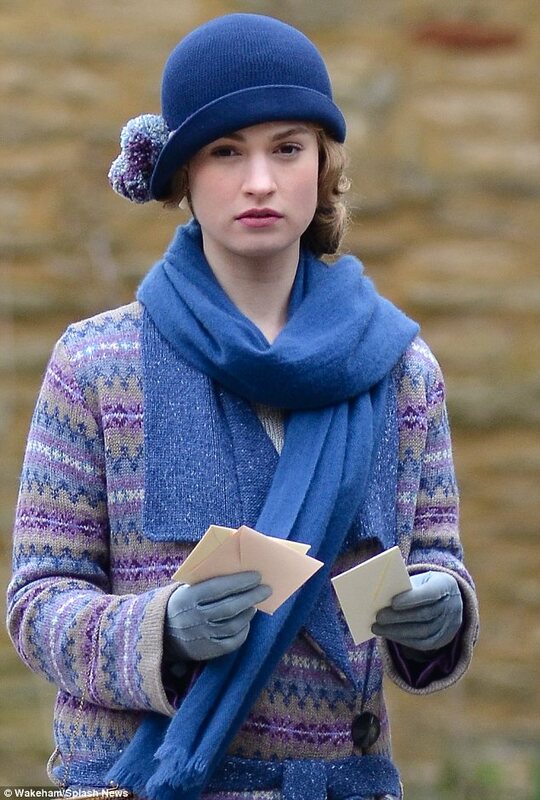 The 24-year-old, who has appeared in Downton Abbey three times as Lady Rose MacClare, will star alongside Cate Blanchett as her cruel stepmother. With the world waiting with bated breath for this announcement (okay, not really), Disney has revealed what handsome face will take the role of the Prince in their reboot of "Cinderella." And if you watch HBO, this might be a dose of good news. Richard Madden, aka Robb Stark, has landed the role with Disney announcing the news to press today. He joins the recently cast Lily James in the title role with Cate Blanchett as the evil stepmother, in the movie to be directed by Kenneth Branagh. It will be Madden's first major tentpole role, so good on him, though we'd guess beheadings will be at a minimum in this. &#8220;I am about to start filming Kenneth Branagh's new movie, Cinderella, playing Cinderella's biological mother at the beginning of the story, the embodiment of goodness and maternal love&#8221;. Burbank, Calif. (September 23, 2013)Walt Disney Pictures announced today that principal photography has begun at Pinewood Studios in London, on Cinderella, Disneys first-ever live action feature inspired by the classic fairy tale. Directed by Academy Award®-nominee Kenneth Branagh (Jack Ryan, Thor), the film stars Lily James (Downton Abbey, Wrath of the Titans) in the title role, Richard Madden (Game of Thrones, Birdsong) as the Prince, Oscar®-winner Cate Blanchett (The Aviator) as the infamous stepmother Lady Tremaine, and Academy Award-nominee Helena Bonham Carter (The Kings Speech, Alice in Wonderland) as the Fairy Godmother. Holliday Grainger (Great Expectations, Anna Karenina) and Sophie McShera (Downton Abbey, Waterloo Road) play Ellas stepsisters Anastasia and Drisella, respectively. Stellan Skarsgård (The Avengers, The Girl with the Dragon Tattoo) and Nonso Anozie (Game of Thrones, The Grey) play the Arch Grand Duke and the Princes loyal friend, the Captain. Tony® Award-winner Derek Jacobi portrays the King. Cinderella is produced by Simon Kinberg (X-Men: First Class, Elysium), Allison Shearmur (The Hunger Games: Catching Fire), David Barron (Harry Potter and the Deathly Hallows, Jack Ryan), from a screenplay by Chris Weitz (About a Boy, The Golden Compass). The filmmaking team includes three-time Academy Award-winning production designer Dante Ferretti (The Aviator, Hugo, Sweeney Todd: The Demon Barber of Fleet Street), three-time Oscar-winning costume designer Sandy Powell (The Aviator, The Young Victoria, Shakespeare in Love), director of photography Haris Zambarloukos (Sleuth, Thor) and Academy Award-winning editor Martin Walsh (Chicago, Clash of the Titans). The timeless story of Cinderella dates back to 1697 when first created by Charles Perrault, although it truly came to life for millions all over the world in 1950 with Walt Disneys celebrated animated feature. The story of Cinderella follows the fortunes of young Ella whose merchant father remarries following the tragic death of her mother. Keen to support her loving father, Ella welcomes her new stepmother Lady Tremaine and her daughters Anastasia and Drisella into the family home. But, when Ellas father suddenly and unexpectedly passes away, she finds herself at the mercy of a jealous and cruel new family. Finally relegated to nothing more than a servant girl covered in ashes, and spitefully renamed Cinderella, Ella could easily begin to lose hope. Yet, despite the cruelty inflicted upon her, Ella is determined to honor her mothers dying words and to have courage and be kind. She will not give in to despair nor despise those who abuse her. And then there is the dashing stranger she meets in the woods. Unaware that he is really a prince, not merely an employee at the Palace, Ella finally feels she has met a kindred soul. It appears as if her fortunes may be about to change when the Palace sends out an open invitation for all maidens to attend a ball, raising Ellas hopes of once again encountering the charming Kit. Alas, her stepmother forbids her to attend and callously rips apart her dress. But, as in all good fairy tales, help is at hand as a kindly beggar woman steps forward and, armed with a pumpkin and a few mice, changes Cinderellas life forever. Production on Cinderella will take place at Pinewood Studios and locations throughout England. Cinderella will be released through Walt Disney Studios Motion Pictures on March 13, 2015. I can't wait to take my daughter to see this. Production looks good, Branagh did a terrific job with Thor, and Richard Madden is a really decent actor. I think it will be fun in spite of what the inevitable cynics will say. 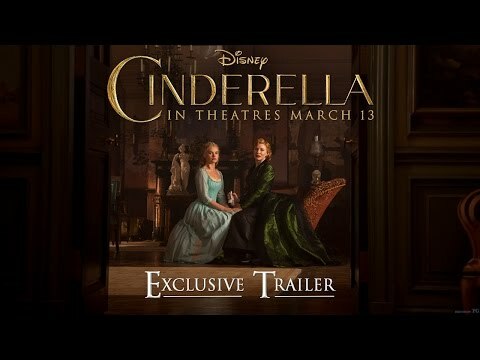 I havent looked at the trailer as I am hoping this will be a refreshing spin on the classic as Malifecent was to Sleeping Beauty and with Branagh directing, I am very much invested. I'd avoid it- it pretty much shows the whole film (although we know the story anyway). But it does look as good (or not) as the other live action fairy-tale adaptions. But like you I'm hoping for a little Maleficent-style dimensionality to the characters. I have been very successful in avoiding trailers for movies in recent times and as a result enjoyed even not so good movies. 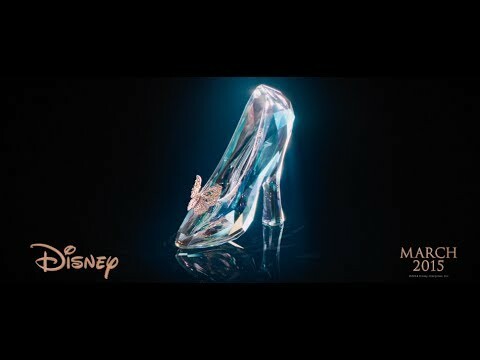 I do watch teasers, though as they never reveal anything so I saw the glass slipper teaser...oh no, now I know there is a glass slipper involved! It must be me but i have a very strong urge to shout "King of the North" whenever i see Richard Madden, on screen. Let's hope that when they go to the ball the Lannisters don't send their regards. I am also wondering if there is now any discernible way to tell the difference between Johnny Depp and Helena Bonham-Carter. I wonder do you ever see them in the same room together? Maybe you should ask Tim Burton... Then again you might not want to know !!! Over $70 million opening weekend in the states, $132 million worldwide. I thought Maleficent was great.